My brief review of Brill’s monumental Encyclopedia of Hebrew Language and Linguistics has been published in the latest issue of Themelios (39.3). Click HERE to read it. 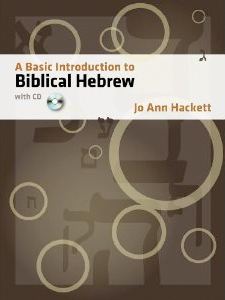 I recently reviewed a new introductory Hebrew grammar by Prof. Jo Ann Hackett of the University of Texas at Austin. Prof. Hackett is perhaps best known for her work on the Balaam texts from Deir Alla. My review of her grammar book, A Basic Introduction to Biblical Hebrew (Hendrickson, 2010) is now up at Review of Biblical Literature, along with reviews by two others (Bernard Levinson and James Robson). In short, I think this new grammar is a marked improvement on other older texts, especially in its attempt to be a true introductory grammar, rather than an undercover reference grammar. However, Prof. Hackett does make some choices that I do question. Just after it became publicly available, Prof. Hackett contacted me about the review. With her permission, I’ve made some of her comments available here. As far as I know, no journal actually publishes an author’s response to reviews, so I’m glad to provide her with a public right of reply here. It’s best to read the review first, and then her comments below. Jo Ann Hackett: I have just read your review of my textbook, and I must say that most of your negative reactions have been mirrored by others. And I remain unconvinced, of course! I do want to question, however, your suggestion that I treat what you call the “vav consecutive” as if it simply reverses the tense of the verb, because that is something I most certainly do not do, and I’m not quite sure how you could assume that I do. I would suggest you read 15.3, where I specifically reject that point of view, and 15.4, which I hope shows that I think the historical explanation is correct. 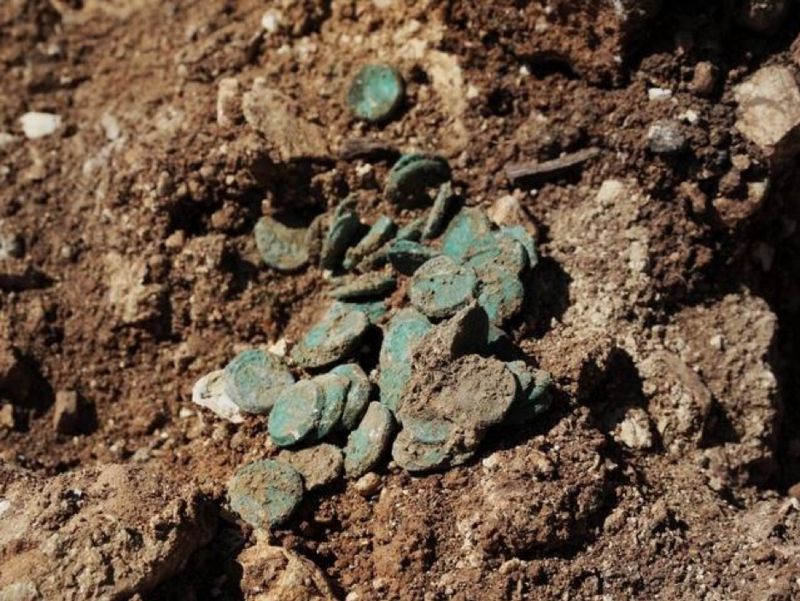 In 16.8, where I say that some people believe that the vav of the ve-qatal form exists as an imitation of the wayyiqtol vav, I suppose you might read it the way you did, but even there, the explanation depends to a certain extent on the historical explanation of the wayyiqtol form. So I don’t understand that part of the review, and to be honest, I really hate it that such a thing is out there about me, being read by people who don’t know any better. Let me add a less serious aside. The objections I’ve gotten to the fact that we call the verb by the 3ms SC form, even though I don’t start there, have all come from teachers. I’ve taught this to all sorts of students, and I’ve yet to have a single one confused by it. The same goes for the 1st-person first decision. Teachers often hate it because we all learned it the other way. Students, who don’t know any better, never even notice. I have to admit that it’s hard for me, too, because I have them recite the paradigms and have to remember that they’re doing it in the way I taught them, not the way I learned it. The form we are calling the consecutive preterite is usually called “converted imperfect,” as if the addition of the וַ somehow “converted” a future-tense verb into a past-tense verb. It is also called the “imperfect with vav consecutive,” a better choice, but also misleading, since the basic verb is not the “imperfect” (our prefix conjugation) but rather the jussive. You will see from this paragraph that there is no specific denial of the concept of a converted imperfect. The first sentence is stated without challenge. It is most likely that Prof. Hackett intended the ‘also’ in the phrase ‘but also misleading’ (second sentence) to signify a denial of the veracity of both the ‘converted imperfect’ and ‘imperfect with vav consecutive’ terminologies. However, since the concept of a ‘converted imperfect’ is not labelled misleading immediately after it is described, the impression I gained was that ‘also misleading’ applied only to the use of the word ‘imperfect’ in the terminology. In other words, I read the paragraph as saying that the wayyiqtol (or ‘consecutive preterite’ as Hackett terms it) can also be conceptualised as a ‘converted imperfect’ or, even better as an ‘imperfect with vav consecutive’, even though the wayyiqtol happens to be using the jussive, rather than the imperfect (yiqtol). Thus, although Prof. Hackett meant to put these other terms forward so as to deny their veracity or usefulness, there is no specific and unambiguous statement to that effect, and the paragraph can plausibly be read as though it were a mild endorsement (albeit with slight correction) of these conceptualities. I am quite relieved to learn from Prof. Hackett that she does not endorse the ‘waw conversive’ or ‘consecutive imperfect’ views of the wayyiqtol. Yet, that makes the ambiguity inherent in the wording of §15.3 all the more unfortunate. I’m quite glad, however, that this issue could be raised and clarified here, and hope that instructors using the book are aware of the ambiguity and can take action to ensure a proper understanding of this particular section the way Prof. Hackett intended it. Can we date biblical texts on linguistic grounds? It’s an interesting question: Do the linguistic features of Biblical Hebrew allow us to figure out the date of biblical texts? Traditionally, the answer has been ‘yes’. 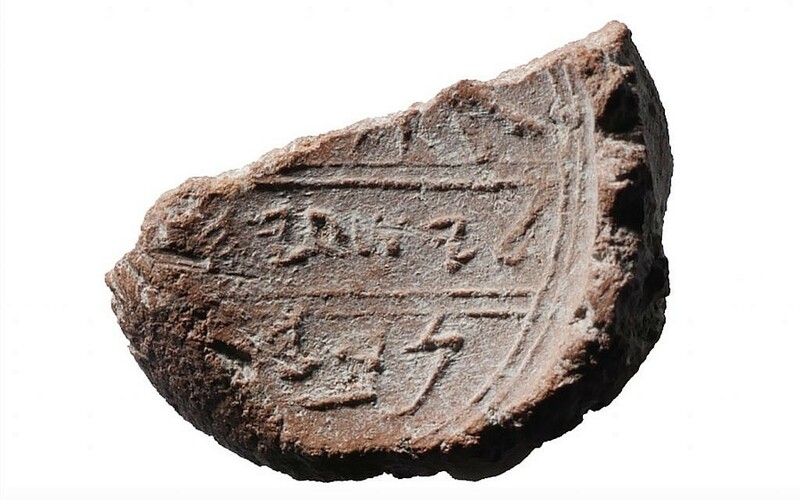 And so Hebrew has been divided into ‘Early Biblical Hebrew’ (‘EBH’ — a.k.a. ‘Standard Biblical Hebrew’, or ‘SBH’) and ‘Late Biblical Hebrew (‘LBH’). As the terms suggest, EBH was viewed as an earlier stage of the language, usually dated to the pre-exilic era (i.e. before 587 BC), while LBH became more prevalent after this time. 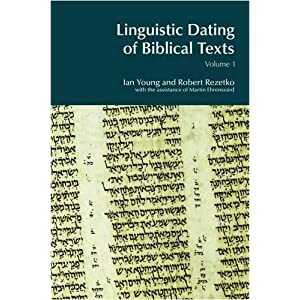 Recently, however, a two-volume study, Linguistic Dating of Biblical Texts (London: Equinox, 2008), by Ian Young, Robert Rezetko, and Martin Ehrensvärd, has called this hypothesis into question. 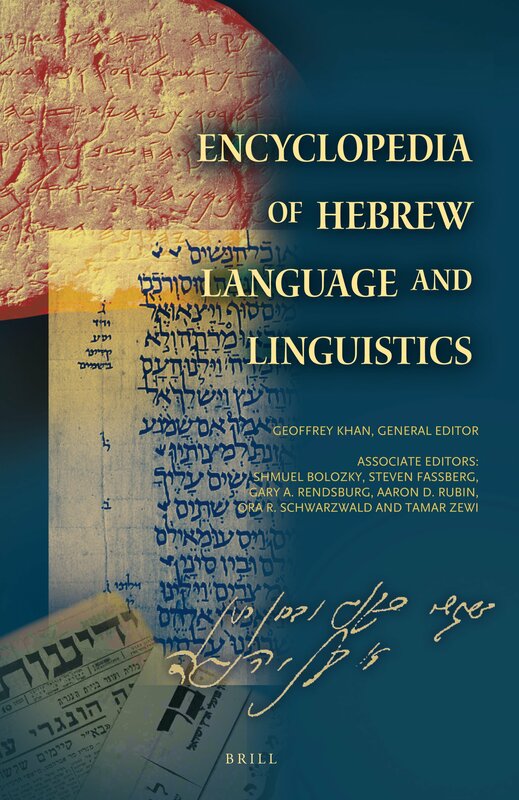 The hypothesis of Young, Rezetko, and Ehrensvärd is that the data usually shown as evidence for a linguistic transition from an early form of Hebrew to a later form can and should be reinterpreted. They argue that instead of being a linear development, both EBH and LBH were concurrent ‘styles’ of Hebrew that coexisted. As a result of this, biblical texts can’t really be dated in the manner previously done. In other words, it is a mistake to think that a text written in EBH is necessarily earlier than a text written in LBH. That would have to be established on other grounds beyond linguistics. The ramifications of this for our study of Hebrew language and biblical texts are actually quite significant. For starters, if Young, Rezetko, and Ehrensvärd are correct, then we would need to privilege non-linguistic data in determining (or at least trying to determine) the date of particular texts. Cook and Holmstedt disagree with the method and conclusions in LDBT. The discussion is quite heated at times, but that at least makes for interesting reading. You’ll also find John Hobbins over at Ancient Hebrew Poetry weighing critically into the debate. For my part, let me lay my cards on the table in this debate. I was one of the proof readers for LDBT, and I have to say I found the arguments logically convincing. The critique of the linguistic approach of Avi Hurvitz was, especially, quite persuasive. I agree with Young (who was my PhD supervisor), Rezetko, and Ehrensvärd that too much has been made of linguistic data in the past, and that we cannot really date biblical texts based solely on linguistic grounds. I also agree that building a history of the language based on biblical texts is seriously undermined by the difficulties of thinking about redaction and scribal transmission. However, there are numerous other questions that arise. If EBH and LBH are not successive stages of the Hebrew language, but rather concurrent ‘styles’, what exactly do they represent? Are they purely dialectal? Was ancient Israel/Judah/Samaria/Yehud a place where diglossia occurred? Is the linguistic divide between LBH and EBH based on geographic, social, or literary grounds—or even other grounds entirely? Do we need new terms to describe these two ‘styles’ of Hebrew? It will be interesting to see how discussion develops.